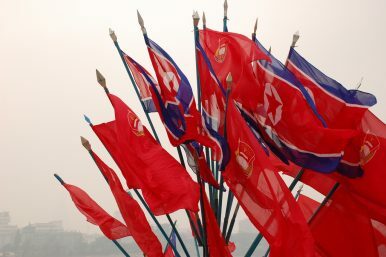 The Koreas in past months have dismantled some of their front-line guard posts, halted military exercises across their border, and vowed to resume inter-Korean economic projects when possible, voicing optimism that international sanctions could end, allowing such projects. Kaesong is also the location of a now-shuttered factory complex that was jointly run by the two Koreas. It combined South Korean capital and technology with cheap North Korean labor, but was shut down by the previous South Korean administration after a North Korean nuclear test and rocket launch in 2016. Both Koreas want the United States to allow exemptions from the sanctions to permit the reopening of the factory park, which provided North Korea with much-needed foreign currency. Critics say Kaesong and other inter-Korean economic projects helped North Korea fund its nuclear weapons program.